As your trusted paintbrush manufacturer, Dynasty Brush is proud to offer superior brushes for a competitive price. 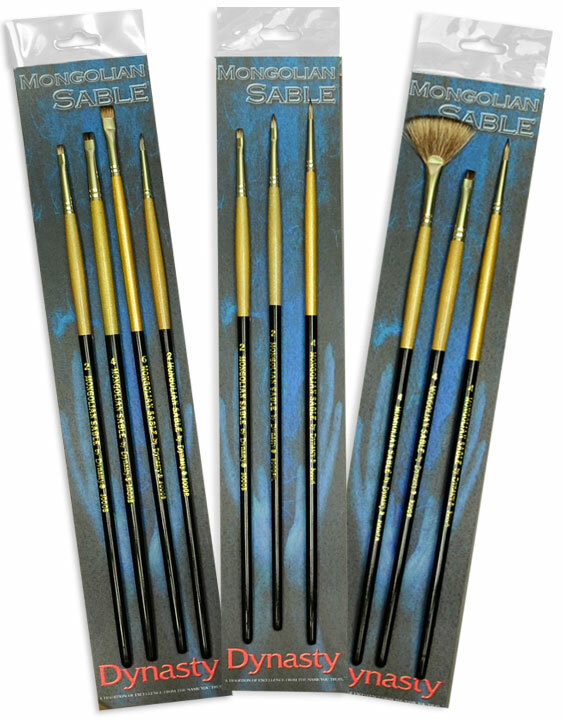 Mongolian Sable® seamless ferrule and the balanced long metallic handle is a renaissance brush without a doubt. The hair in this brush is synthetic and multi-toned and is the closest brush you will find to a natural Mongoose brush. Because the Mongoose is on the endangered species list, we reproduced a synthetic brush that looks and acts like the natural counterpart. The brush has the spring, snap, and soft touch of sable with the strength and durability of a Mongoose. The Mongolian Sable series is truly a workhorse. Whether you are seeking an acrylic brush set or our wholesale paintbrushes, we are proud to offer an extensive selection of brushes to help meet your artistic needs. If you are interested in learning more about our company or you have questions regarding our products, contact us today at (718) 821-5939 or info@fmbrush.com. 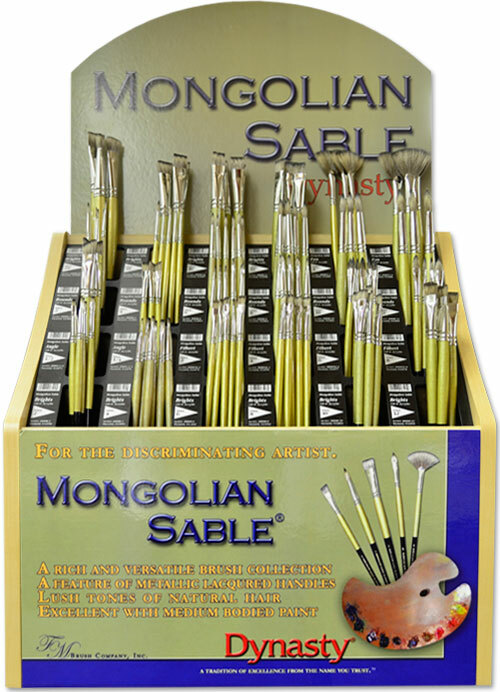 Mongolian Sable® is made with a Mongoose synthetic that has the color-carrying capacity of sable but stronger. It’s strong tip can push medium viscosity paint with ease. 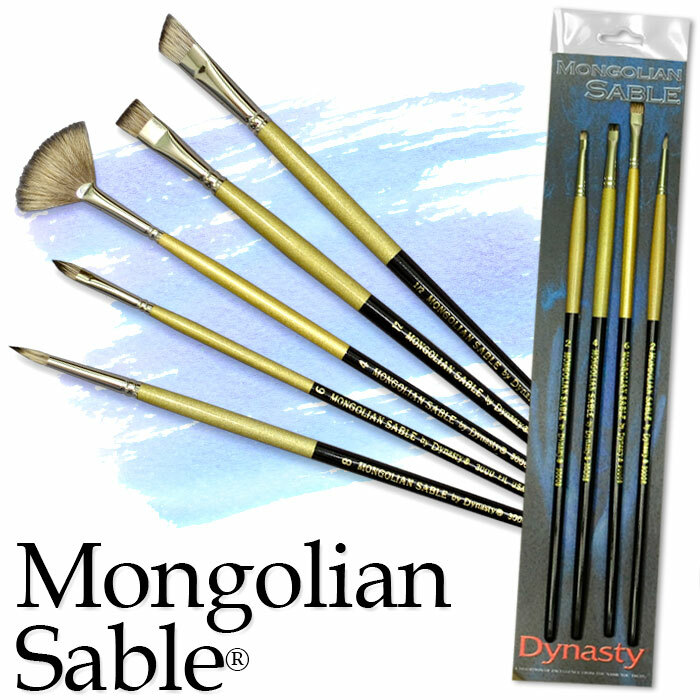 Purchase Dynasty Mongolian Sable Brushes At These Fine Retailers!